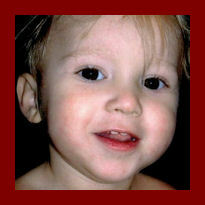 of Miami, Oklahoma passed away Thursday February 10, 2011, he was 1 year old. He was born on June 4, 2009 in Miami, Oklahoma. He was preceded in death by his Great-Great-Grandmother, Ada B. White and his Great Grandfather, Jim D. Drake. He is survived by his parents; Jessica James and DJ Yates, 2 brothers, Dylan James and Alexander Garcia, 1 sister, Felesha Yates, grandparents, Steven & Jessie Jones of Miami, Oklahoma, Markell Huft, of Florence, Oregon and Donnie Miller, of Anderson, Missouri, his great grandmother, Judy Drake, of Miami, Oklahoma. Also surviving are his aunt, Jayme Schumacher and his uncles, Joseph Schumacher, Tony Jones, both of Miami and Taylor Miller and Wesley Miller, both of Anderson, Missouri. Funeral services for Quinton Tyrone Yates will be 11:00 AM, Monday, February 14, 2011 at the Seneca-Cayuga AOA Building East of Grove with American Indian Rites by Paul Barton. Burial will be at Basset-Grove Cemetery, East of Grove. Pallbearers will be Joseph Schumacher, Robert “Gump” Smith, Dennis Mitchell and Father, Steve Jones. Honorary pallbearers will be Tommy Jones, William Smith and Tony Jones. Online condolences may be made at www.paulthomasfuneralhomes.com.